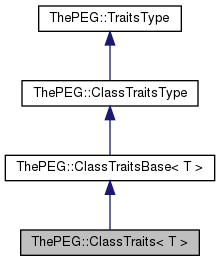 The default concrete implementation of ClassTraitsBase. This templated class may be specialized for any class if the default implementation is not sufficient. Definition at line 134 of file ClassTraits.h.